Bottom line: North American Van Lines has an extensive list of add-on services, including custom crating and auto transport, so you can customize your long-distance move. North American Van Lines has been in business since 1933 and currently operates as a full-service mover, working with over 500 local moving companies across the nation.1 Despite the company—also called northAmerican—being a full-service mover, this doesn’t mean you necessarily have to take advantage of the full service when signing up. From simply providing boxes and moving supplies to coming in and boxing up your whole house for you, it seems to have a moving solution for everyone. So what can North American do for you compared to other interstate moving companies? Let’s look at what it has to offer and we’ll give you our take along the way based on our hands-on experience. What services does North American Van Lines offer? North American Van Lines lets you pick and choose which services you’d like to take advantage of to better tailor your move to your needs while also saving you a little cash along the way. Certain services come at an additional cost, so we’ve laid out some options for you to mix and match North American’s services based on your moving situation. Each of these options are available independent of one another—we’re simply highlighting which services we think best suit movers who want it all, who want a little help, or who want to do it themselves. How much does North American Van Lines cost? Your moving costs will vary depending on the services you opt in for, the size and distance of your move, and other factors like your location and the time of year you’re moving. If you are planning a small, in-town move that doesn’t need any packing assistance or other third-party services, you can expect to spend a minimum of around $550. Medium-sized households who are moving a moderate distance and would like some light packing assistance should expect to spend a few thousand dollars. If you’re looking to take advantage of all of North American Van Line’s services and are planning a long-distance move for a much larger home, your costs can reach several thousand dollars. Keep in mind, these are ballpark figures addressing a few points in the cost spectrum. Most moves will fall somewhere in the middle, but this gives you an idea of what you can expect to spend when moving with North American Van Lines. Scheduling an in-home estimate is the best way to get a reliable figure for your specific needs. Moving into a new home is no easy task. Planning, packing, loading and unloading the truck, and getting settled into your new house can take a lot of time and effort, and some of us either don’t have time to spare or simply don’t want to go through all of the trouble. If this sounds like you, North American Van Lines can take care of each of these steps, while also providing other useful services that might make your moving experience a bit less stressful. Like most other full-service movers, North American’s process begins with an in-home estimate to help you decide what services you should take advantage of during your move. You can schedule your estimate by either filling out a simple form online or just giving them a call. It’s important to understand that North American Van Lines partners with local moving companies—referred to as agents—to help you complete your move. Most agents provide a bulk of the services that North American advertises, but others may not be able to take care of specialized moving tasks like auto transport. Response times and quality of customer service may vary from agent to agent too, so be sure to look at local reviews for your assigned agent to understand what to expect. In my case, the response time from my agent seemed a bit slow. My confirmation email came around noon—almost immediately after I submitted the online information—but I was still waiting to hear from a representative until late-afternoon the next day. I decided to go ahead and call the agent directly and was able to schedule an appointment for a few days after that. If you’re looking for a convenient way to get the ball rolling and are flexible about how soon you’d like an agent to contact you, scheduling online is the way to go. Calling North American’s customer service representatives is a bit less convenient, but you may end up being able to schedule your in-home estimate sooner. During the estimate, a dedicated relocation specialist will come to your home and take a visual inventory of all your household items. A major part of pricing your estimate depends on the weight of your move,2 so your relocation specialist may ask if you plan on selling any items before the move date or if there’s anything not currently in your home that would need to be included to get a more accurate picture of what to expect. The in-home estimate is also a great time to pick your relocation specialist’s brain about what moving services might benefit your unique situation. Overall, I spent about 20 minutes with my specialist, and she was incredibly willing to answer any specific pricing questions I had and even helped me talk through what options and moving services would be best for my move. Specialty packing services such as appliance disconnection and installation in your new home and custom crate creation for items that won’t fit standard boxes are also available by request. Depending on the size of your move and the time you have to prepare before moving day comes around, you may opt to go with North American’s full-service packing option. This is offered at an hourly rate, and my estimate listed a price of $60 per hour for one packer and one van. Depending on the size of your home, the amount you need to pack, and how much time you can personally devote to packing, this may or may not be worth the cost. When I scheduled my estimate, it was for a fairly small move—a two-bedroom condo with an average amount of furniture. My relocation specialist estimated that packing might take around five hours, costing $300. She also mentioned that if I wanted them to pack my TV, it might be an extra $100. I’m unsure why the addition of the TV garnered a $100 increase, but it may have something to do with the boxes and supplies needed to safely pack and transport it. For a smaller move like mine, I don’t think the cost for full-service packing is worth it. I could easily sacrifice a few hours after work and on the weekends to pack up all of my belongings and have them ready for moving day. Someone with a much larger home or with a much tighter schedule may benefit from having this taken off their plate, however. 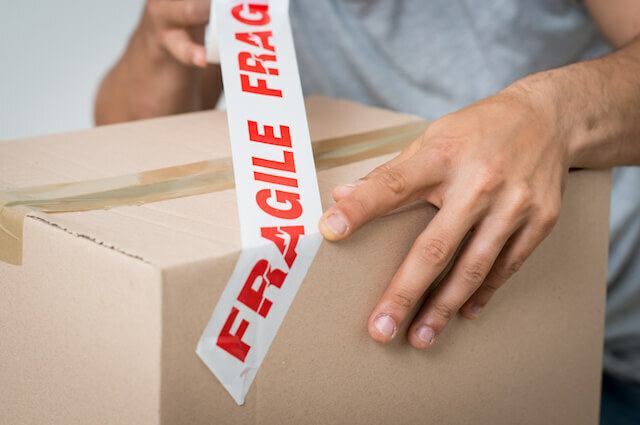 If you have the time to do most of the packing yourself but would like some professional help with packing fragile items like mirrors, china, or other breakables, North American Van Lines can help you out. My moving specialist told me that full-service and fragile-only packing are priced at the same rate, so essentially you’re just saving money in the amount of time it takes to pack your belongings. As you can imagine, even if the packers take the time to carefully pack mirrors and other breakables, they’ll still spend far less time than if they need to pack the entire house. Having North American’s crew pack your home isn’t a small addition to your final estimate by any means, so if you hope to save some money or prefer to pack your own things, North American offers moving boxes and supplies upon request. According to my moving specialist, each self-packed household move receives up to 30 used boxes (she was quick to mention this was only while supplies lasted). This may vary by agent, so be sure to ask your local agent if you hope to use their boxes. North American Van Lines often works with third-party vendors to offer services like disconnecting appliances and connecting them at your new home, so prices will vary. Some agents may be able to work with you directly to get this taken care of, however. North American includes disassembling and reassembling furniture in the cost of your move. It also makes efforts to protect your upholstered furniture by using stretch wrap to avoid any damage during the move. The estimate for my moving transportation costs came out to be $675. This included an estimated weight of 3,409 lbs (I don’t know if a number that exact can be considered an estimate, but who am I to judge? ), two crew members, a van, and an estimated time of five hours to load and unload my items. It broke down to a rate of $135 per hour, so if the actual move took any longer, I’d be able to easily identify how much more it would cost me. Keep in mind, these numbers are specific to my move—a fairly small home with an average amount of belongings and standard furnishings, and a moving distance of about 10 miles—and may not scale as expected if your move takes longer or your estimated weight is twice as much. The cubic volume of your belongings also comes into play, so if you have a large styrofoam sculpture you need to move, it’s not the weight that will contribute to your cost, but the amount of space it will take up in the truck. Scheduling your own estimate will give you a more accurate picture of what your costs will be, but these numbers can help give you an idea of North American’s pricing structure. Your moving crew doesn’t just load your truck—they take a detailed inventory of your belongings too. The inventory for all of the boxes they packed will list the items in the carton and the condition they were in when they were packed. Everything you packed yourself will be labeled as such and will not necessarily list each box’s contents or their condition on the inventory sheet.4 This helps both you and North American’s crew ensure everything made it to your new home as expected and serves as a good reference if you need to make any damage claims. Once your truck hits the road, North American offers the option to make stops if you need to pick up items at another location before arriving at your final destination. This costs an additional $50 per stop, and any extra time spent at those spots is added to your total move estimate. Travel time itself isn’t charged at this hourly rate, however. North American Van Lines calculates these costs based on your distance travelled. North American Van Lines also allows you to track your shipment online so you can always know where your belongings are along their journey.5 This especially comes in handy for those who are moving out of state or internationally. What type of moving coverage does North American offer? Even if your moving crew is incredibly careful, it doesn’t mean something won’t get lost or damaged along the way. North American Van Lines offers a basic liability coverage at no additional cost, or you can choose full maximum value protection to protect your belongings. 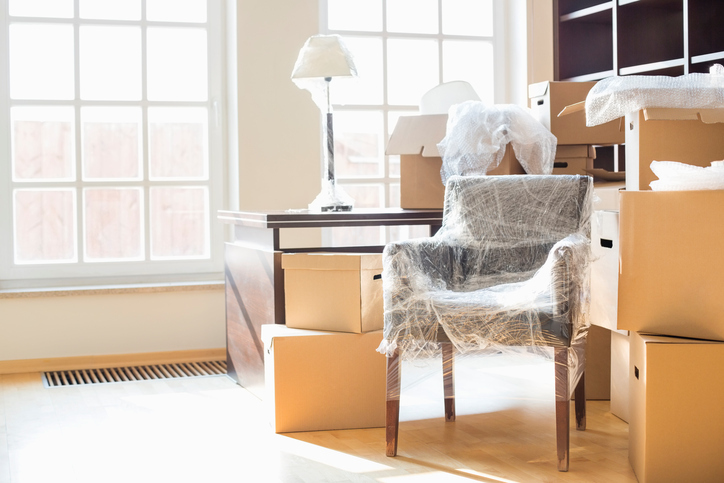 Basic liability coverage is certainly the most economical since it won’t increase the cost of your move, but it also offers minimal protection and may not be right for you if you’re moving higher-value items. It pays $0.60 per pound per item for anything that was lost or damaged while moving.6 This means if you have a piece of furniture weighing 100 pounds, you’ll receive only $60 if something happens to it during the move—regardless of the actual value. Full maximum value protection is the more comprehensive of the two options. North American Van Lines offers this coverage for an $8 premium for every $1000 in value covered, with a minimum required value of $5 per pound based on the estimated shipping weight of your items. You can set your level of coverage at a higher amount if you’d like, it just has to meet that $5 per pound minimum. For example, if you have a 10,000 pound move, North American Van Lines requires at least $50,000 in value covered, but you can increase that coverage if you wish—it would just be an additional $8 premium per $1000 in value you would like covered. Since this level of coverage is based on the total value of your belongings and not restricted by a per-item coverage amount, any damage that occurs to your 100 lb. piece of furniture under this plan would be completely covered (up to the $50,000 in covered value you purchased in this example). In my case, my minimum full coverage protection would be $20,000 based on $5 per pound for 4,000 pounds (North American rounded up from my 3,400 pound estimated shipping weight). This would run me an additional $160 on top of the original cost of my moving estimate based on $8 per $1000 covered. All in all, I consider the comprehensive coverage to be a fairly good deal and would recommend it for most moves. The basic liability coverage is a nice benefit since it’s free, but it won’t cover much in the case of a damaged appliance or piece of furniture. Signing up for full maximum value protection is a relatively small price to pay for avoiding some big potential headaches. In addition to covering your items for loss and damage, my relocation specialist told me North American also offers 100 percent property damage coverage for your home. She also assured me that the movers take care not to ding any walls, but in the case that something does happen, they’ll quickly return and repair any damage done to the home during the moving process. Your local agent will have more information about how they handle these situations, so be sure to clarify their policies during your in-home estimate. Finding storage is often a necessary part of the moving process, and North American Van Lines offers climate-controlled warehouses for both short- and long-term storage needs. We asked for an estimate for a single dresser to get an idea of what it might cost to store a large piece of furniture, and it came out to be $8.40 for 30 days with an additional one-time fee of $10.50 for warehouse handling. If you need more storage time beyond 30 days, that monthly fee would remain the same. 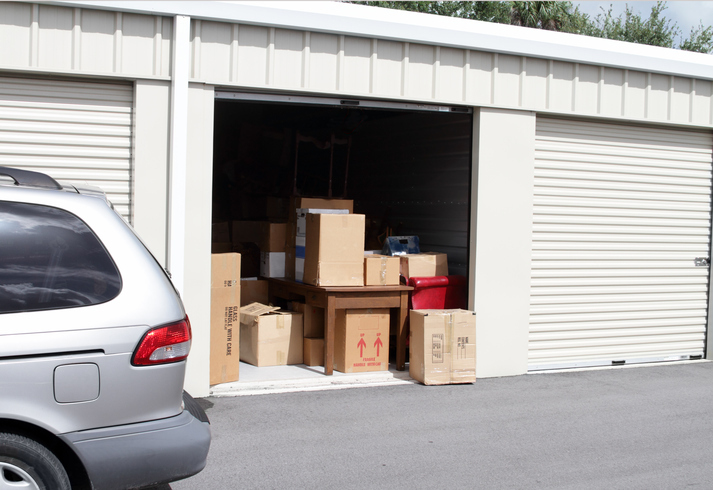 Storage is calculated by weight—much like the rest of your move—so pricing all depends on the total weight and the length of time you want your items stored. Do we recommend North American Van Lines? North American Van Lines is an excellent choice for those planning a long-distance or international move, or for those who need a moving company with North American’s range of service options. If you are moving a smaller household or your budget is tight, North American has some excellent resources for you to use, but I wouldn’t recommend spending the money on add-ons like full-service packing unless you really don’t have the time do it yourself. In the end, your moving experience will depend largely on your local North American Van Lines agent, so be sure to do your research and reach out to them to see how well they can accommodate you. Have you used North American Van Lines for your move before? Be sure to leave a review or let us and our readers know about your experience in the comments below! My personal experience – DON’T HIRE NORTH AMERICAN VAN LINES. They are twice expensive as any other mover, but they promised it would be worth it to get better customer service. Take your chances with the cheaper guys – the customer service can’t be worse. I am a single mom, working full time, and moved with two elderly dogs. North American screwed up my delivery schedule and we were left with no place to go (because of the two large dogs and the fact I needed to work – you can’t leave dogs or a young child in a hotel room while you go to work) for two weeks. They didn’t even come close to covering my expenses during that time. They also won’t reimburse me for the items that were broken. I dropped over NINE THOUSAND DOLLARS and the customer service was horrendous. Do not use North American/Allied van lines. I said I could do pick-up anytime, they charged me $1000 to store in a warehouse since I couldn’t accommodate driver’s schedule – which they never told me. After pick-up on the 8th, my delivery window was the 14th – 21st. The truck broke down and won’t be delivered until the 28th. No reimbursement or compensation because truck repairs are an “Act of God”. It’s on the bill of lading and in the fine print, therefore I should’ve known better. Absolutely ridiculous that moving companies can hold you at the mercy against common sense because it’s in the fine print. Move was from Seattle to Milwaukee.